Hannes Joubert has taken their business from small beginnings near Kirkwood to become one of South Africa’s leading exporters of citrus. It is not only about export, they have retailers and other major South African outlets on their customer list. The business started on a 40-hectare farm, named after a desert oasis in Morocco, called HABATA. HABATA do not only produce citrus but also Cucurbits (melons, watermelons, butternuts), vegetables and grapes. The story is about sticking to the basics, producing quality product and growing and taking care of your people. In 2016, HABATA‘s growth necessitated the implementation of a formal software solution in support of their operations at their Loftus and Badlands facilities. The PALPACK STD solution from Paltrack was chosen. Accurately keeping track of orchard deliveries has been simplified. Reconciling packed vs. delivered product is now easy. System generated documentation to transporters and record of what has been dispatched to where is now seamless. 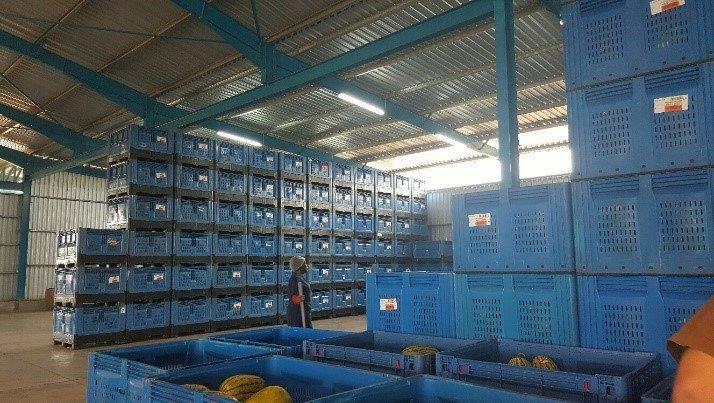 Bin pool management has improved as the system keeps track of full and empty bins in and out of the packhouse environment. Uniformity of product marking has also been achieved via system generated labels. The system is very user friendly and was easy to learn. Paltrack’s area representative, Johan van Niekerk, was instrumental in this successful implementation of PALPACK at HABATA.